I wanted to create a small piece of art for my DD2’s new apartment. She loves steampunk style, so I pulled out a few supplies and got started. 1. Cut the Smoothfoam sheet into 5.5″ squares with a craft knife. Glue patterned paper to cover the front. 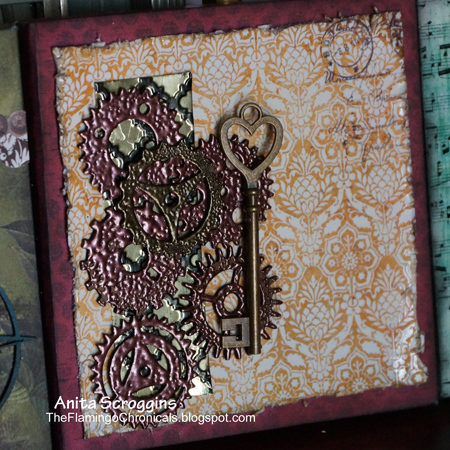 Color the chipboard die-cuts with inks and/or heat emboss stamped patterns on top using embossing powders. 2. 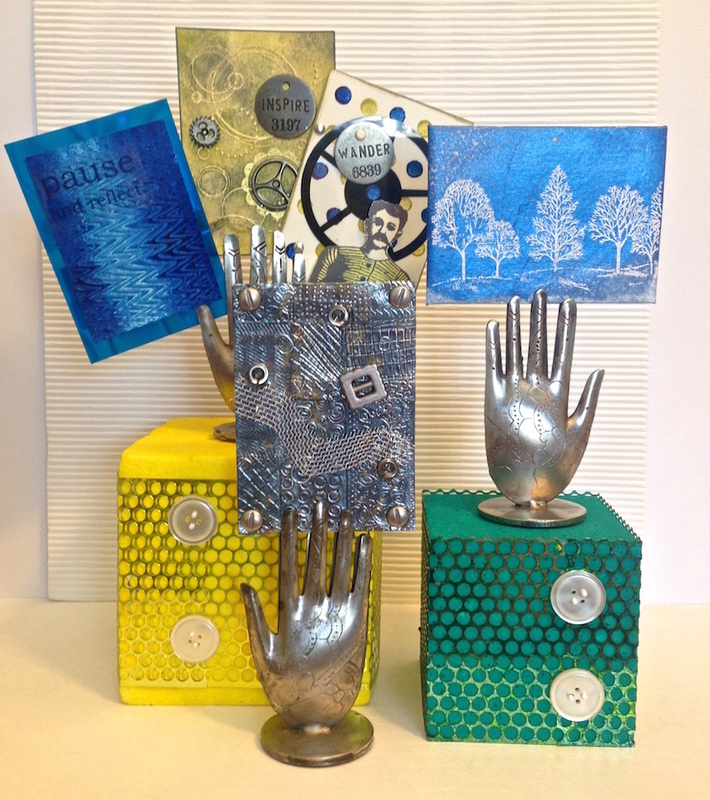 Run a sheet of metal inside an embossing folder through a die cut machine. Ink the raised areas to highlight. Cut into two pieces; a square and a rectangle, and glue the pieces to two of the Smoothfoam squares as shown. 3. 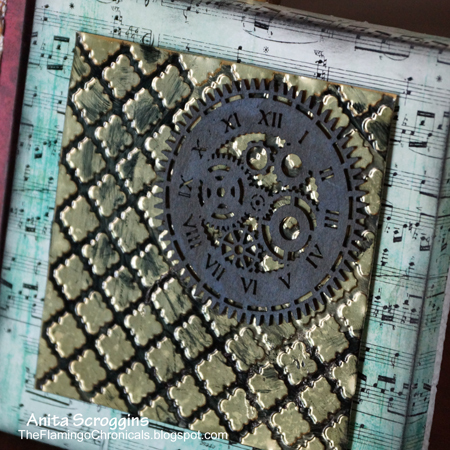 Using stencil and embossing paste, add texture to the third square. When dry, brush with ink to highlight the stenciled image. Adhere embellishments as desired. 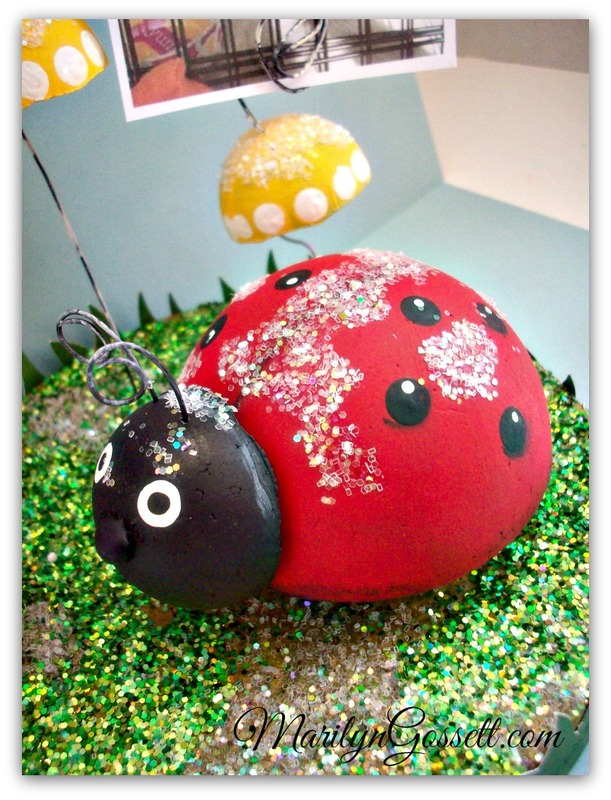 This felt poppy craft will bring a little spring into your life. 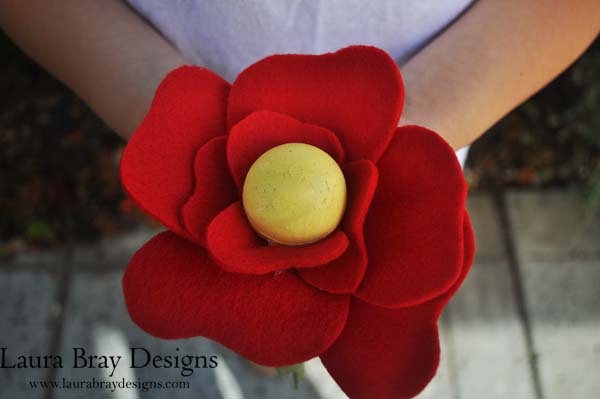 Poppy flower crafts make a perfect gift for Mother’s Day. 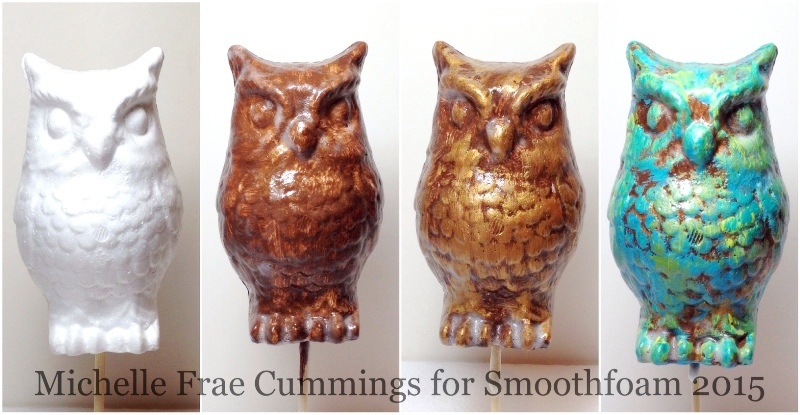 Use them to decorate a special table, a breakfast tray, or a tie them onto a gift. Click here to download the Poppy Pattern, then trace and cut out each piece from the felt. Paint the Smoothfoam ball yellow and the skewer green; allow to dry completely. Glue the red felt petals around the ball, starting with the small petals on the inside and then adding the larger petals around the outside. Glue the flower onto the end of the skewer. Poke a small hole in the center of the green felt circle. Slide the skewer through it from the bottom and glue the circle to the bottom of the flower. Glue felt petals onto the skewer. 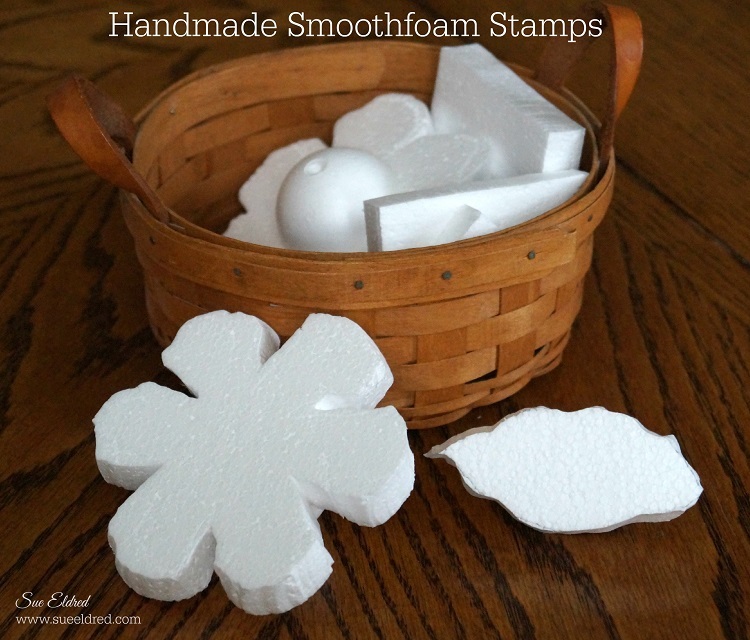 I had this great idea to make stamps using Smoothfoam so that I could do sidewalk stamping with my grandsons. After one messy (but fun) try, I decided it really wasn’t going to work the way I wanted. 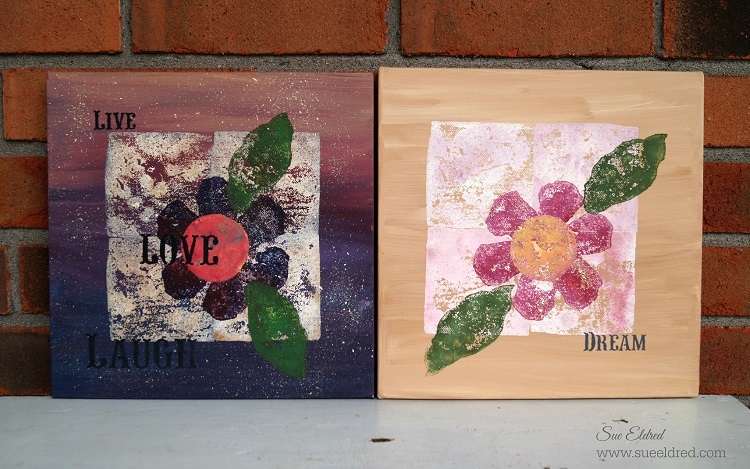 So… I decided to use the stamps on a canvas instead. 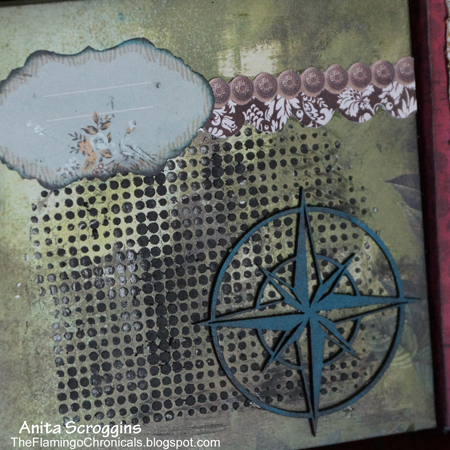 I created the stamps using a Hotwire Foam Cutter. You could also use a craft knife. Because the original plan was to use them with the kids, I glued handles on the back. 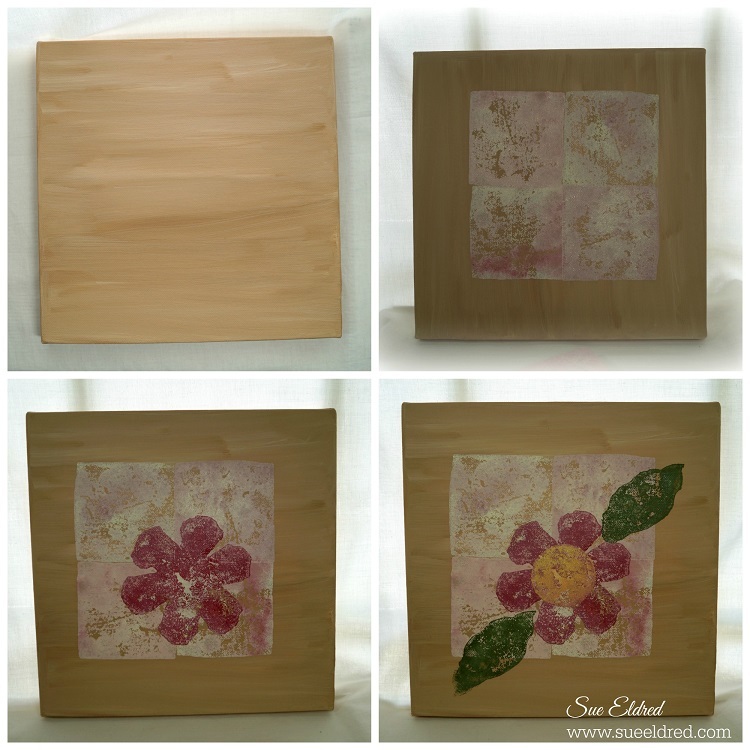 Prime canvas with a coat of gesso or neutral paint. After cutting the Smoothfoam sheet into shapes (I made a square, triangle, flower, leaf), sponge some paint on the back of the square and stamp it on to the canvas. You may need to press the back of the canvas with your other hand to get crisper image. Repeat three more times to get a nice square background. Stamp the flower and leaves. 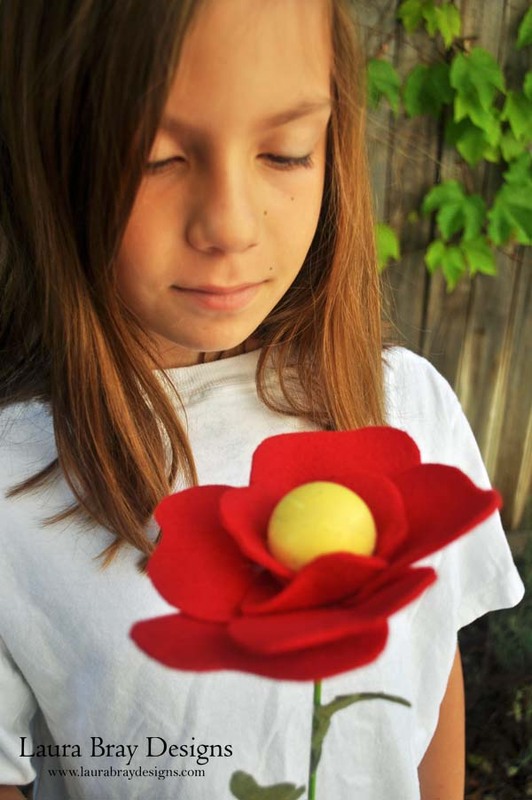 Using a small Smoothfoam ball cut in half, stamp the center of flower. Stencil desired words under the image. Today I am doing a little different project for me. Often we create art that is inspired by what is happening in our lives…today my post reflects this. The title of this art panel is Unlock Your Joy. The only person that can unlock your joy is YOU. The face of the doll is not happy because the past few days have been long and hard for me. But I am trusting that everything will work out – and this piece of art will remind me of that! My lesson in this piece…don’t let anyone steal your joy and lock it away. Paint the Smoothfoam sheet ivory and let dry. Pounce various shades of inks on top, through an art screen. 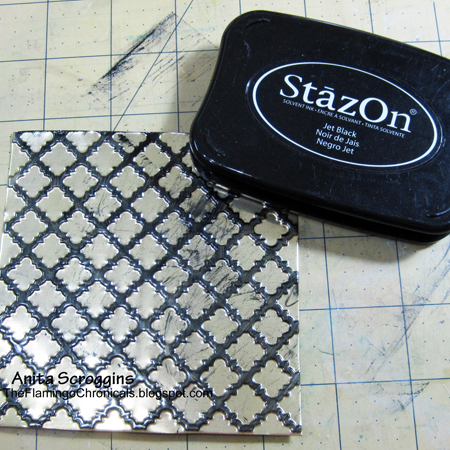 I love that it is so easy to stamp and stencil on Smoothfoam! Stamp the paper doll on cardstock and cut it out. Stamp each part with various designs. Glue the doll to the panel and let it dry. Ink the wood lock and key. Glue these embellishments into position as shown. 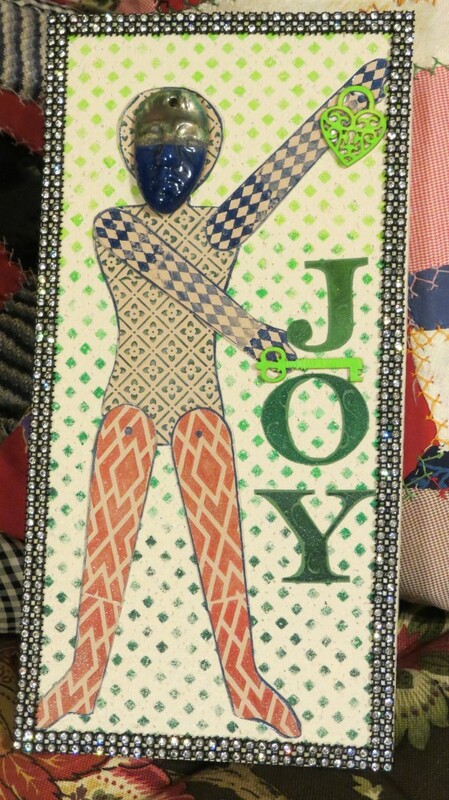 Stamp the word “JOY” on cardstock, cut out each letter and glue in place. Trim narrow lengths from the crystal sheet and glue around the edge of the panel to frame it. A Smoothfoam disc is the perfect start for a mobile of bright flowers! Trace the Smoothfoam disc on a piece of scrap paper and cut out. Fold the paper in half three times. On each fold line, measure ¾” from the edge and mark. Mark the center also. Trace the disc on the sheet of craft foam twice. On the bottom piece, make holes with a needle using the marks on your paper pattern for placement. Make a center hole in the top piece. Make corresponding holes in the foam disc with the bamboo skewer. Glue the bottom piece of craft foam to the disc, matching the holes. Using the needle and about two yards of cord, go up through a hole in disc from bottom to top and back down through an adjacent hole four times. Arrange lengths of string as desired and then glue the top craft foam circle onto the disc. 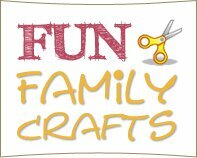 Cut two 9-1/2″ by 1″ strips of craft foam and glue to the edges. Die-cut two sets of each color of Rowlux for the hanging flowers. Punch holes in the centers. String the layers from the back, add a bead and go back through the hole. String some beads at the end of the string and tie off. Add a string through the center of each flower and make a loop in the top for hanging. Use beads and flowers to hold it to the disc at the top. Add additional smaller flowers around the edge of the disc with beads and pins if desired. I have a large collection of artist trading cards (ATCs), most of which are displayed in trays on the walls of my studio. I continue to make and collect new ATCs, for which I don’t have wall space, so I use these “handy” place card holders (bought at World Market) to display them on my desk and on shelves. 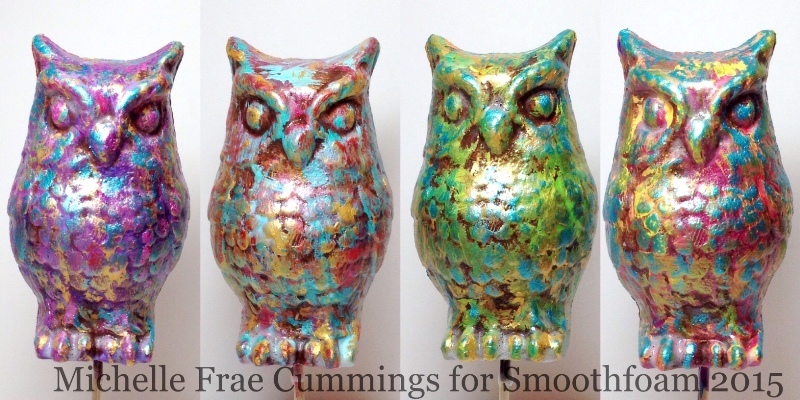 I needed some risers to fit more ATCs in a smaller space so I could still see them all – Smoothfoam to the rescue! This project couldn’t be easier – just paint any size Smoothfoam cube and then pin or glue your favorite embellishments around it. I inked some silver punchinella ribbon in green and yellow to match my paints, then wrapped it around each cube. The two ends overlap about an inch, where I secured it to the cube with some straight pins pushed into the buttonholes – no glue needed. 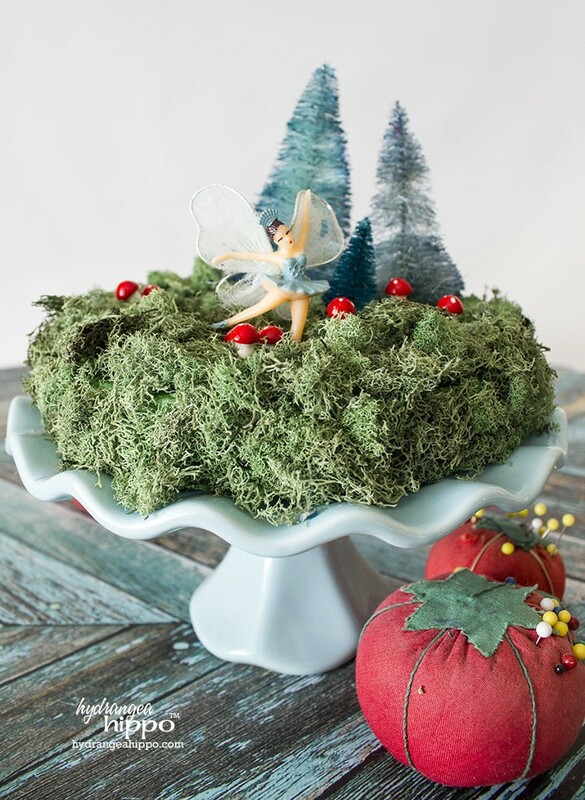 The key to this fairy garden is the lightweight Smoothfoam disc base. It’s solid enough to provide enough surface area to glue the moss down, yet porous enough to allow the wire ends of flower and mushroom picks to be inserted with ease. Change out the elements seasonally without worrying about the base crumbling – the Smoothfoam base will stay intact for years. 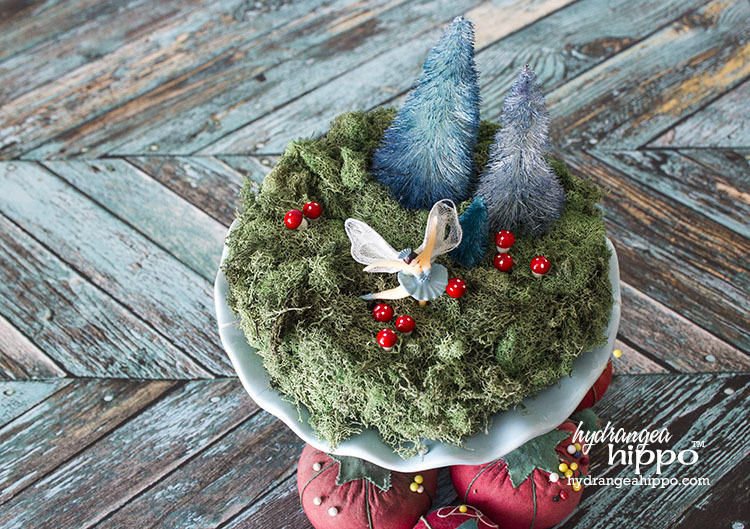 I plan to make several more of these with larger and smaller sizes of Smoothfoam discs to decorate for a fairy garden tea party I plan on having this summer. 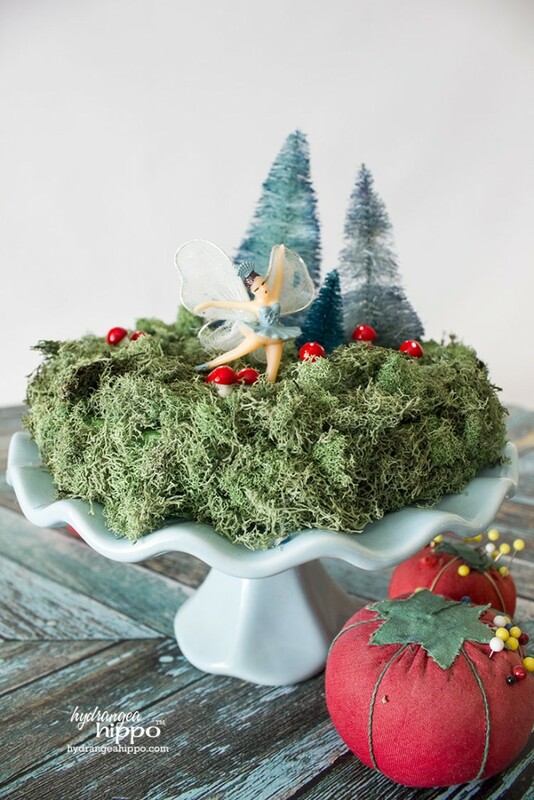 Display them under fancy glass cloches, on top of cake plates, or even under glass cheese and cake domes for a fun look on a dining table or mantle. 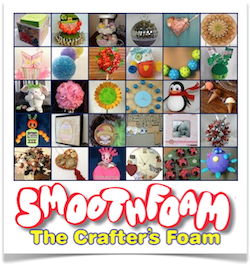 I hope you enjoyed this fun and easy project with Smoothfoam – The Crafter’s Foam! 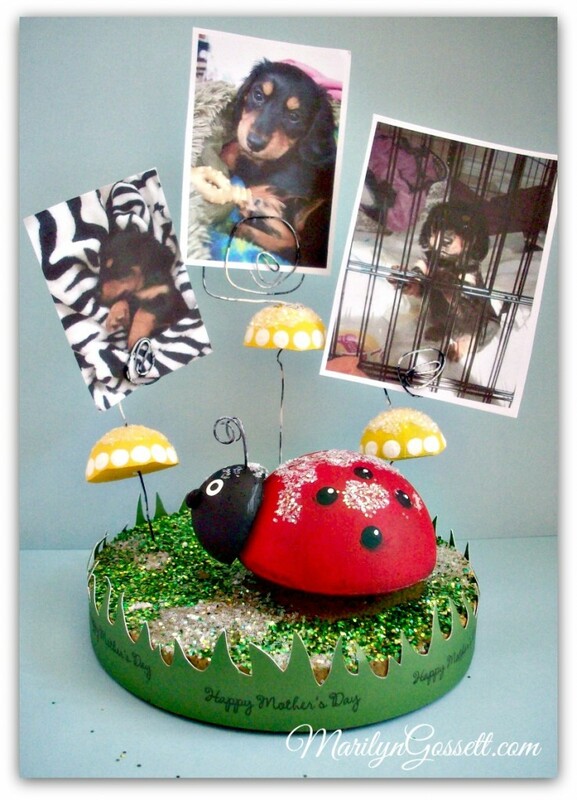 See more projects like this on my blog – Just JP. 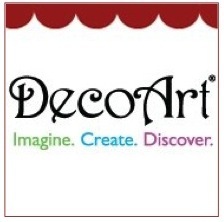 Decorative foam flower balls for almost any season continue to appear everywhere in home décor stores and magazines. These colorful, whimsical spring flower decorations are ready to usher spring into your home! 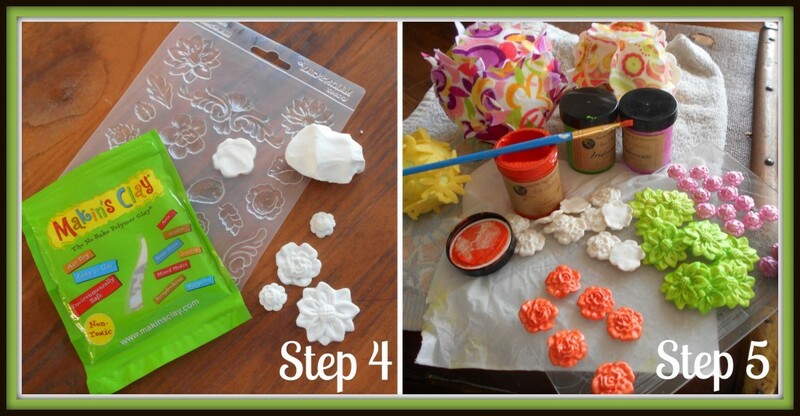 Paint each Smoothfoam ball with Melon Ball paint and let dry. Die-cut multiple flowers from each of the 3 felts (there were 3 different flowers on this die, the number of each cut depends on which size ball you decide to use which flower on). Glue the flowers on to each ball, allowing for some overlap so petals will lift upward against each other for more depth and dimension. Mold enough clay flowers so you have 3 different kinds to use in the centers of each felt flower. Let the clay air-dry for 24 hours. 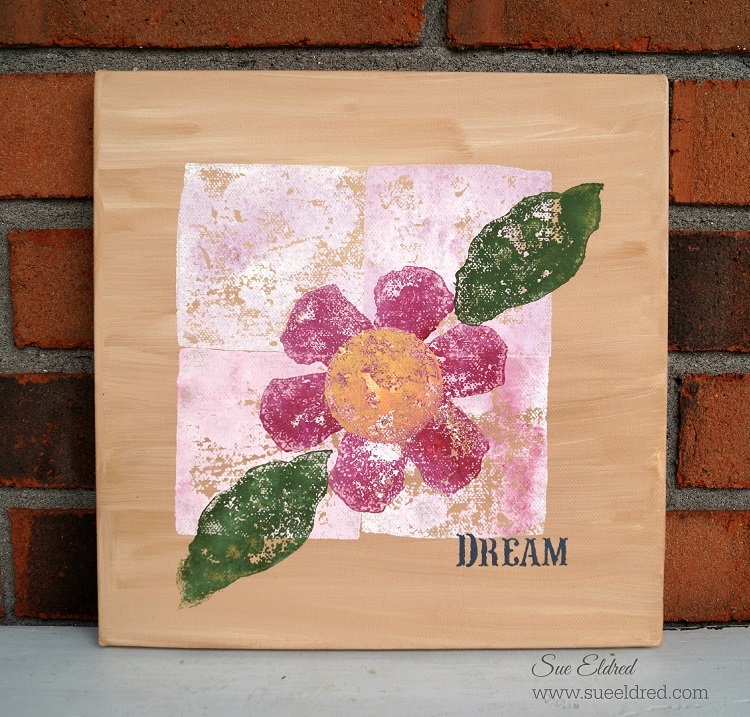 Paint each clay flower with a shade of Iridescents and let dry. 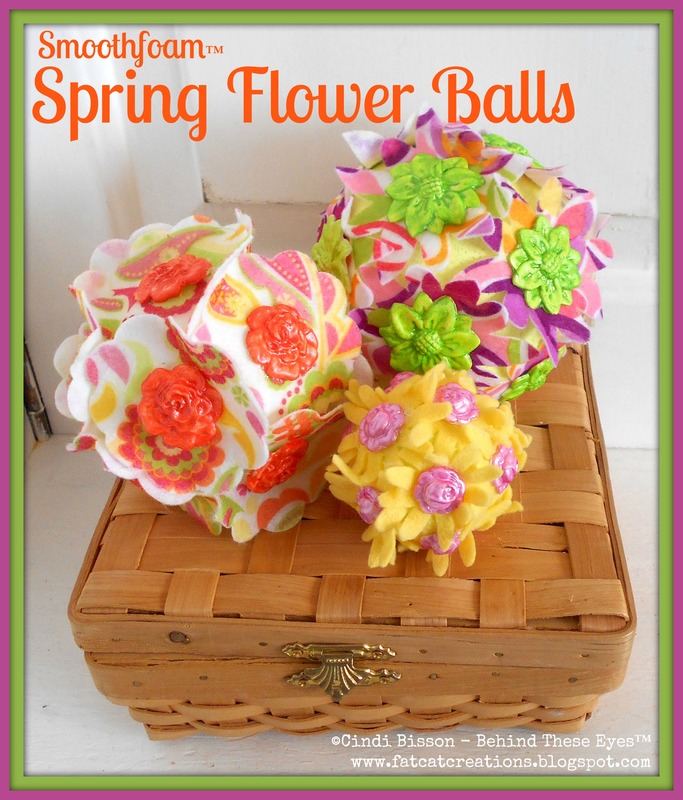 Glue to the centers of the flowers on each ball.